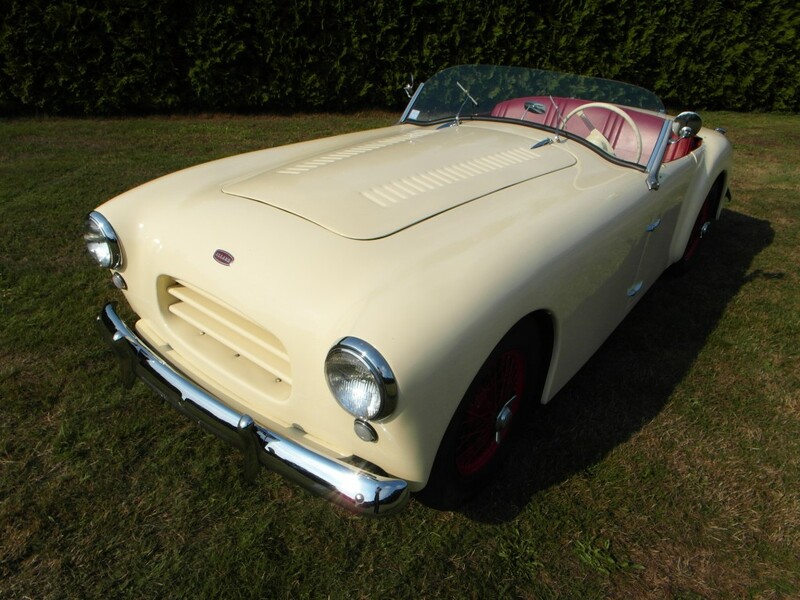 Between 1952 and 1954 there were a total of 76 Allard Palm-Beach 1 produced; this includes 4 and 6 cylinders all together. 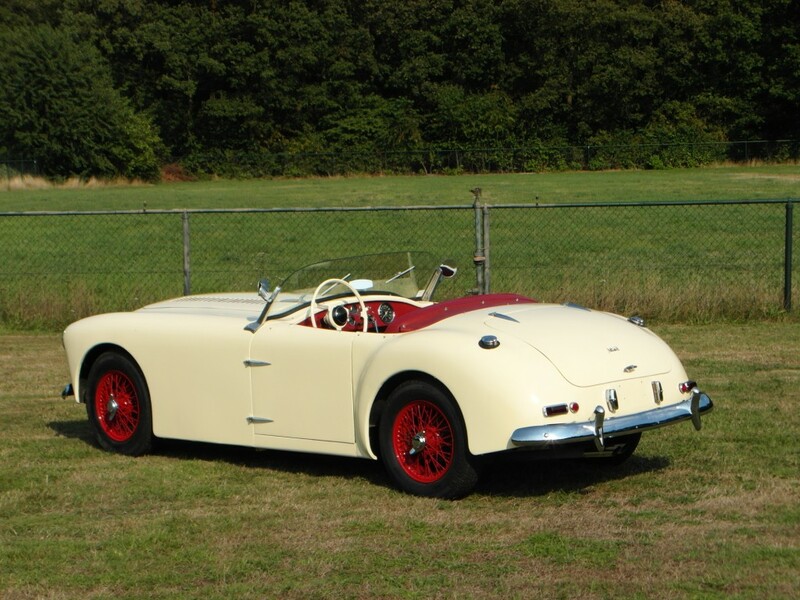 The Palm Beach 1 was the first production Allard which was departing from Allards big V8 image. 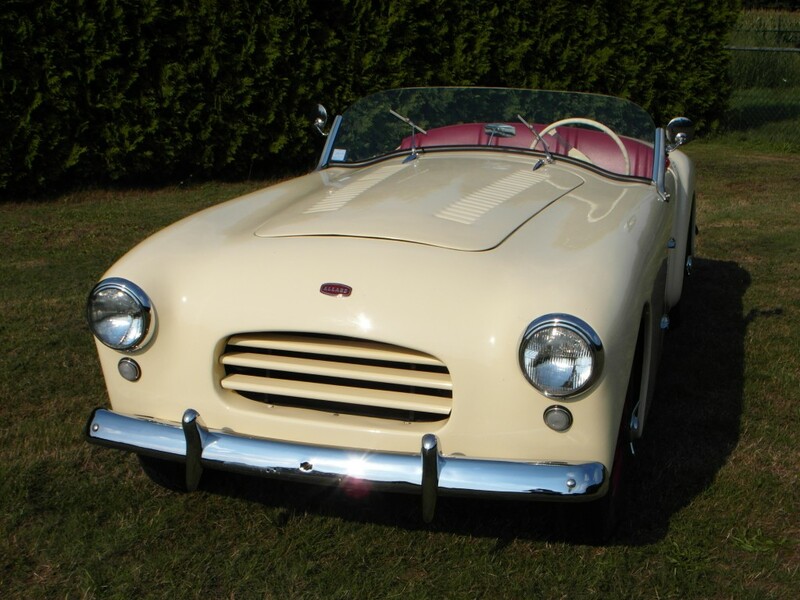 The Palm Beach was very light constructed on a twin tube steel chassis with alluminum body. 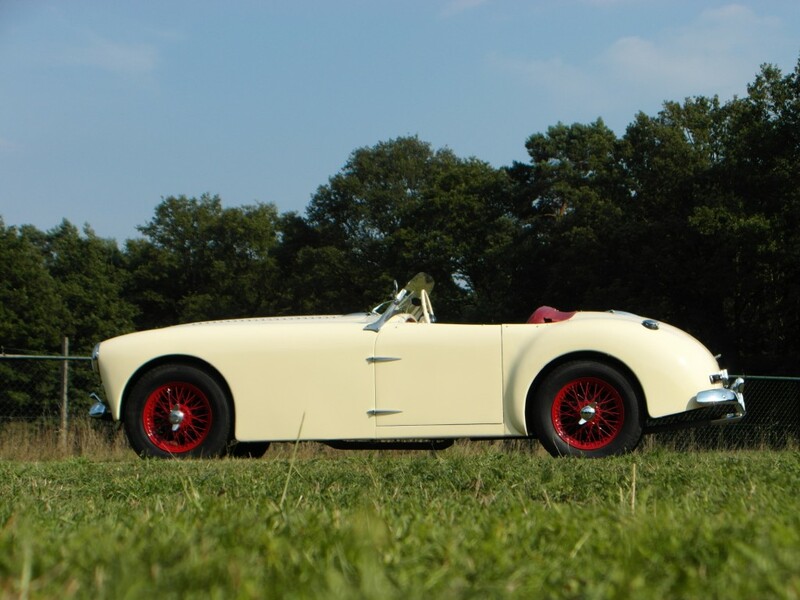 The first cars of this light car accelerated from 0 to 50 mph in 10 seconds, with the later ones the performance was improved. 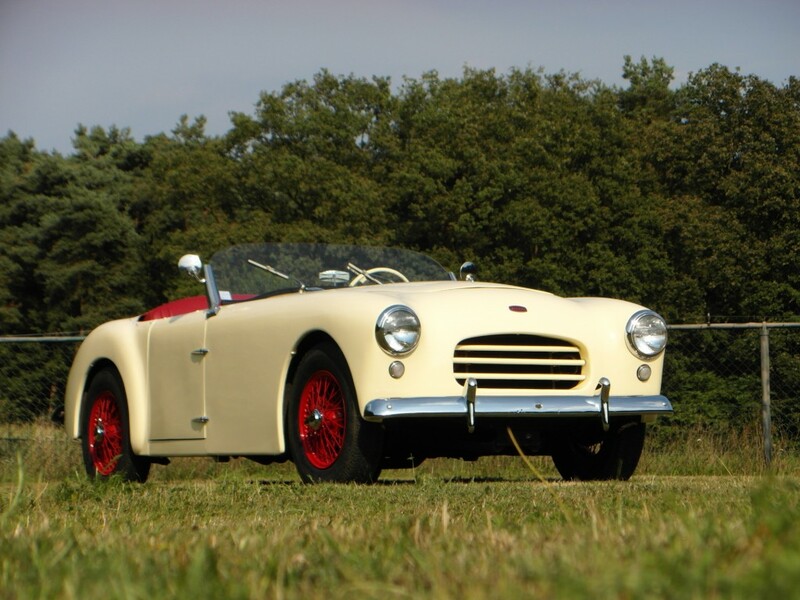 This particular left hand driven, 6 cylinder, Allard Palm Beach MK I was delivered on the 20th of October 1953 to her first owner in the USA. 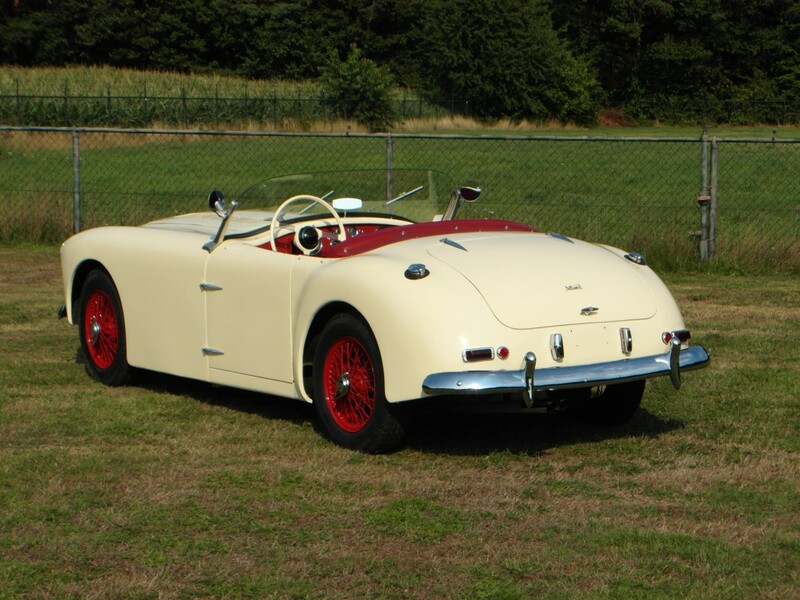 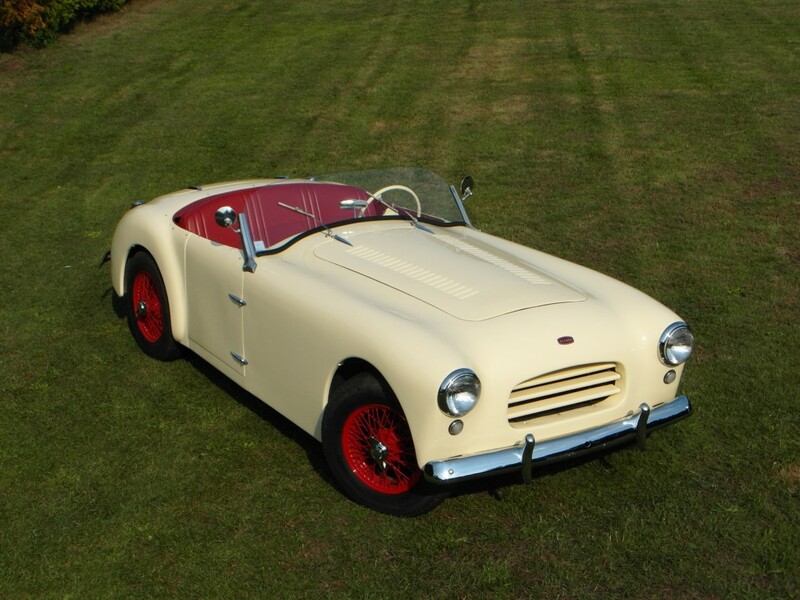 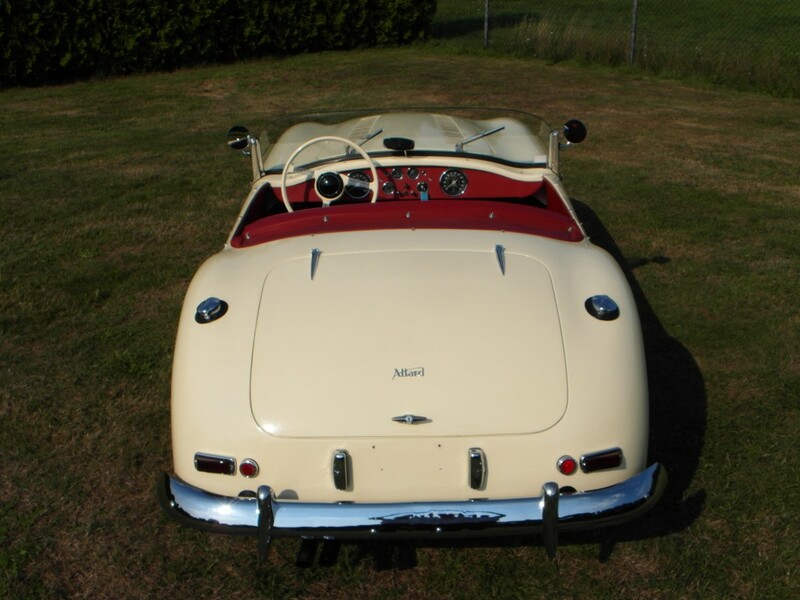 This car was original delivered with the optiona central lock wire wheels. 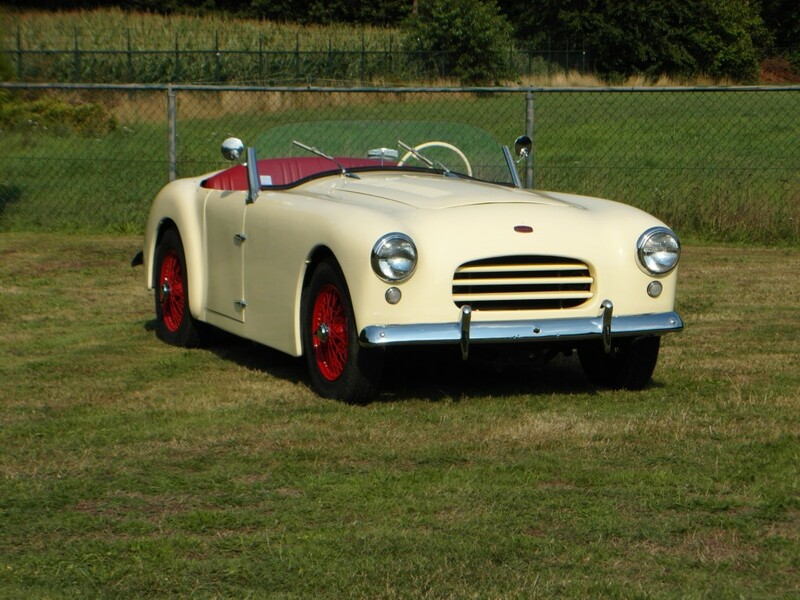 The car stayed in the USA untill 2010 and was than shipped and imported in France. 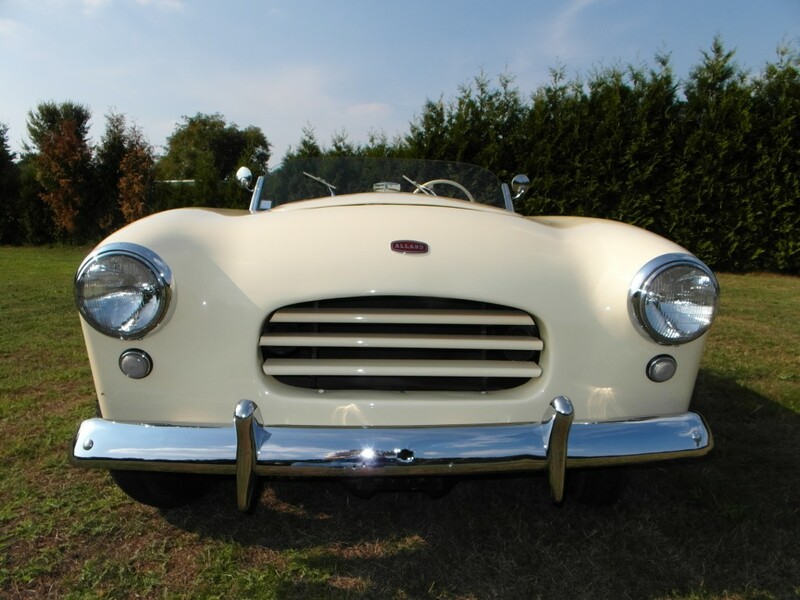 This car has been roadregistered in France since than.